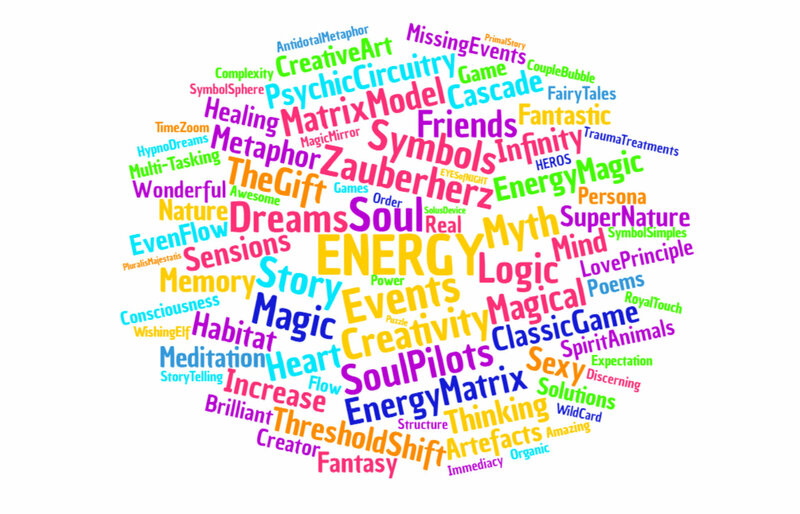 After three decades of the epic, global research project known as PROJECT SANCTUARY, we are delighted to announce Silvia Hartmann's brand NEW next-generation course for modern energists: The SuperMind Masters course. The brilliant SuperMind Masters course manual for you to take home and enjoy for many years to come, featuring all the core concepts from the course, as well as many additional bonus exercises. What is the new SuperMind Masters course all about? The new SuperMind Masters course takes Energy Mind studies a step further - instead of simply exploring the wonders of the energy mind and leaving it at that, we are going to improve energy and information flow between the conscious mind and the energy mind to the point where "The SuperMind" comes into being. This is the natural, original "thinking system" of the human mind, and when it kicks into action, wonderful things start to happen. The SuperMind Masters course is all about (re)learning to set our natural, inborn intelligence free to start solving old problems, answer old questions and create new and better questions which will lead us to the next level of personal evolution. Through a wonderful sequence of exciting, easy exercises, we start to improve energy flow and with this, information flow. We learn amazing new things and it feels wonderful when "sparkling new ideas" and "creativity" starts to flow, yet it's only energy! This is an exciting course for modern energists who want to unlock the secrets of how to read, write, live and use our energy intelligence in a whole new way. Is this a course for psychotherapists/psychotherapy and/or self healing? No, most emphatically not. It is a course for modern energists who want to learn the latest, state of the art methodology to improve energy flow and communication between the conscious mind and the energy mind, to experience "The SuperMind" when both work together and become more than the sum of their parts. Although this course contains many, many original, groundbreaking patterns and techniques that would be extremely valuable to any therapist, it is not a practitioner course and the primary target is personal enrichment and personal evolution. SuperMind Masters is a fast paced, exciting, fun course for modern energists who are ready to play in The Oceans of Energy and in doing so, learn wonderful new things. * If you are in deep need of psychotherapy/and or healing, please consult with an appropriate provider of such services (such as your local Energy EFT Practitioner), so that your problems will get the attention they deserve. The course tutor is there to help students learn the materials; contractually they may not act in a therapist's capacity. What are the minimum requirements to take the SuperMind Masters course? It is of the essence that students on the new SuperMind Masters course are "energy enabled." This means at the very least they are familiar with the basic concepts of modern energism, which include the Energy Body Stress Chart, The SUE Scale, The Aspects Model, Future Orientation, and the basics of de-stressing and raising energy as and when needed. The minimum qualification is successful completion of The GoE's Energy EFT Foundation course. 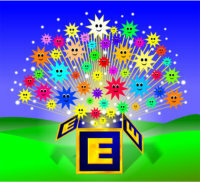 Existing Energy EFT Masters Practitioners (who loved Unit 11!) and EMO Masters Practitioners are also qualified to enrol on the new SuperMind Masters course. I've only done Energy EFT training with The GoE before, why should I enrol on the SuperMind Masters course? You "should" absolutely ONLY enrol in this course if you LOVE creativity, imagination, true intelligence, energy, logic, information, stories, fantasy, myth, magic, metaphor, mystery, paranormal language and all the marvellous things our energy minds can do for us. Certain people just love this sort of thing, and if you are one of those, you'll love this course! It's been a while since I read Infinite Creativity, do I have to read it again before starting the SuperMind Masters course? Absolutely. Read it completely afresh from the perspective of someone who isn't just reading "about" this, but who is going to be *doing* this! Where does SuperMind Masters fit in The GoE's course structure? It is a three day Masters certification course on a par with Energy EFT Masters Practitioner and EMO Masters Practitioner courses. SuperMind Masters qualification is required for the Masters Energist Certification. Will SuperMind Masters become a live training in the future? 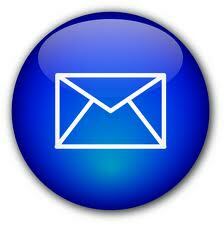 It is designed to be delivered both live as well as in the distance learning format. A special event is planned for Spring 2017 in England (details to be confirmed) to allow certified GoE trainers to take the live training, and therefore be able to teach the live training. I'm an existing Project Sanctuary (PS) Masters, do I automatically obtain the SuperMind Masters certification? SuperMind is a different course from a different time. However, your PS Masters certification stands for all time and you will be listed as a SuperMind alumni regardless whether you take this new course or not. If you would like to take the new SuperMind course, we offer a full 50% discount on the full course fee, exclusively for you. As an existing Project Sanctuary Masters, what benefits will there be for me to enrol on the SuperMind Masters course? You get to engage with your energy mind fully afresh, new aspects here and now have new ideas and completely different challenges. You will bring to the course a different level of understanding the materials as a new student would. There have been some changes in what things are called since you took your course, and the addition of the stress factor/how the energy mind responds to The SUE Scale, makes a big difference. A major difference between SuperMind and Project Sanctuary is that SuperMind is designed to produce measurable results in the Hard, as well as improving the flow of energy and information between the conscious mind and the energy mind. There is of course the addition of The SuperMind Symbols (the new name for The Genius Symbols) which we didn't have when you took your course, but most of all, it's going to be a lot more fun, and whole lot less "therapy." What is the distance learning format for SuperMind Masters? The course units (12 in total) contain a sequence of exercises which the distance learning students must complete. Instead of written assignments (which previous GoE distance learning courses have used in the past), at the end of each course unit, a Skype interview with the tutor is scheduled so the unit can be signed off as completed, then the student can move on to the next unit. This means that there are no written assignments for this course, apart from a special certification exercise set in Unit 12. This will allow students who can read and speak English well, but find it difficult to write lengthy essays, to complete this wonderful course easily and beautifully. Please note: As long as the student reads English well, the end of unit interviews can be conducted in English, German or in Spanish. SuperMind Masters Distance Learning - Study Anywhere in the World! Alongside the printed course manual which is shipped through the post, you'll also receive extra instructions, exercises and assignments by email (Adobe PDF format) which you complete in the comfort of your home and then email back to your tutor for feedback. They'll then book you in for a Skype session to discuss your feedback and the next unit, if you have met the required core skills. Whilst you wait for your course manual to be delivered, we have included the pre-requisite reading e-manual Infinite Creativity for you to get started straight away. We'll also include GoE Standard Membership straight away too, which will be upgrade to GoE Professional Membership for an extra year upon completion. This will give you access to member resources which gives you that extra support we know will help you get the most out of your course. 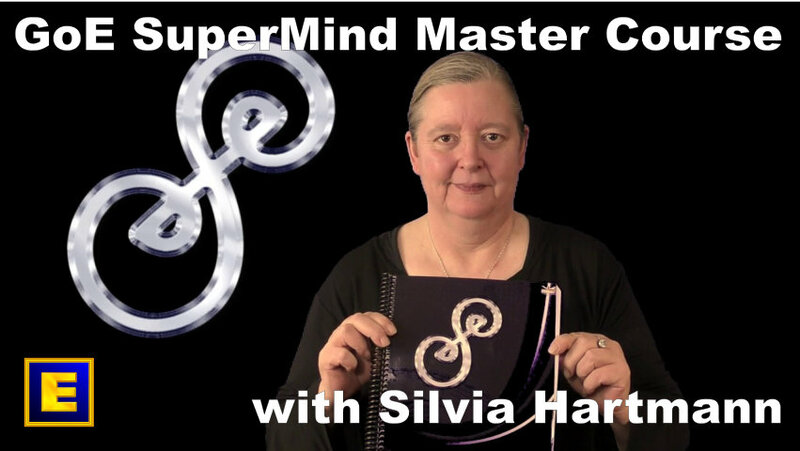 Please note - Sign up for the SuperMind Master Course today and receive your printed course manual, access to the Infinite Creativity e-manual and GoE Standard Membership. Upon payment you'll will instantly receive your course instructions, GoE Standard Membership and access to Infinite Creativity e-manual download straight away. We expect that you'll complete your course within six months however if you need a little longer, then your tutor support is included for one year after signing up. The following prices include full-tutor support (one year), Infinite Creativity by Silvia Hartmann e-manual, GoE Standard Membership from signup (one year), then GoE Professional Membership (one year) after completion, and your certificate. Postage of your course manual is also included. WOW! Each and every one of us has so much untapped potential waiting for us in our SuperMind. Given the tools to connect with our SuperMinds not only feels fabulously good, putting experience and information shared into action I already know will be far reaching. 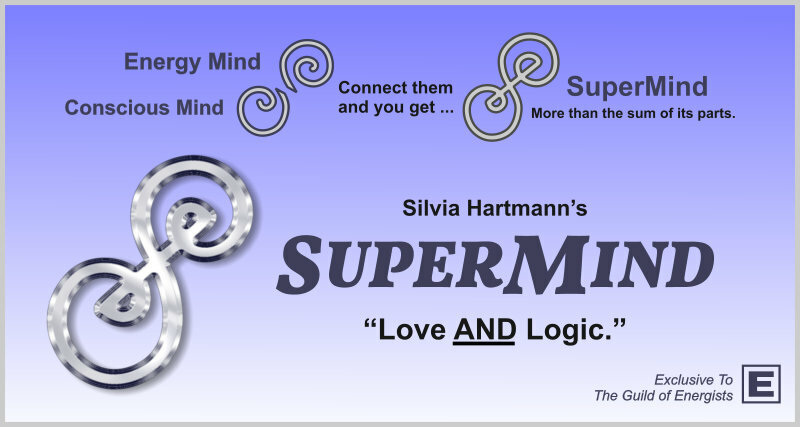 SuperMind offers a complete exploration of Love and Logic and when we use our minds to our best advantage there is so much we can be, do and have. As for experiences - you really can have anything you want! In brief SuperMind is: Experiential, Surprising as in WOWSER!, creative, fun, far reaching, joyous, happy, limitless, expansive, wise, intelligent, freeing and so has much potential. Thank you, Silvia Hartmann, yet again for sharing your wisdom so that we all have the opportunity to evolve.